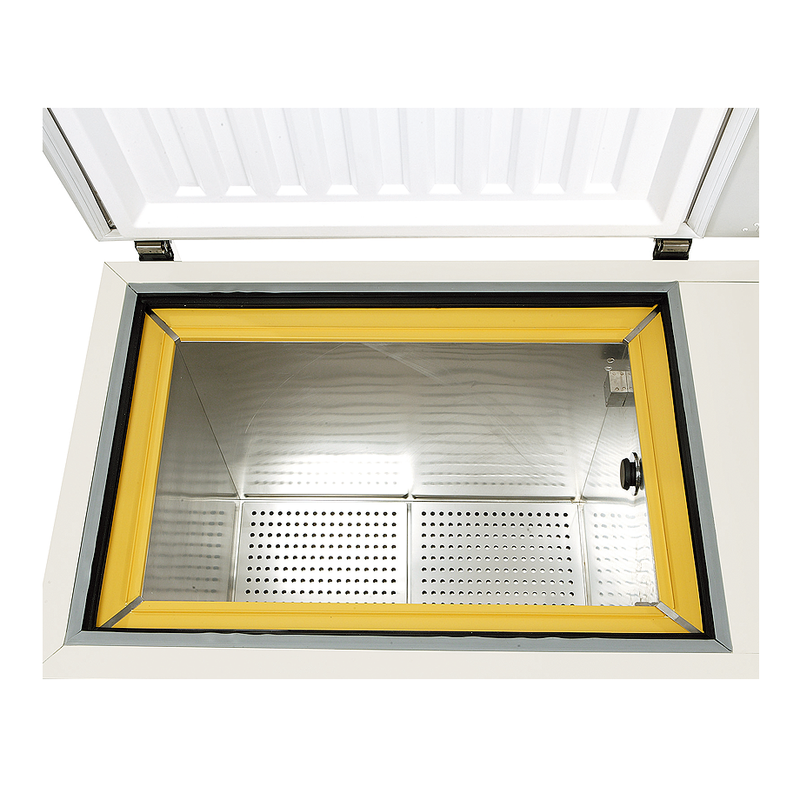 Inside-out engineering starts with our patented VIP Plus insulation composite which results in a highly efficient, thin-walled cabinet. The insulated inner lid improves temperature uniformity, minimizes cold air loss from frequent lid openings and extends warm-up times during power outages. 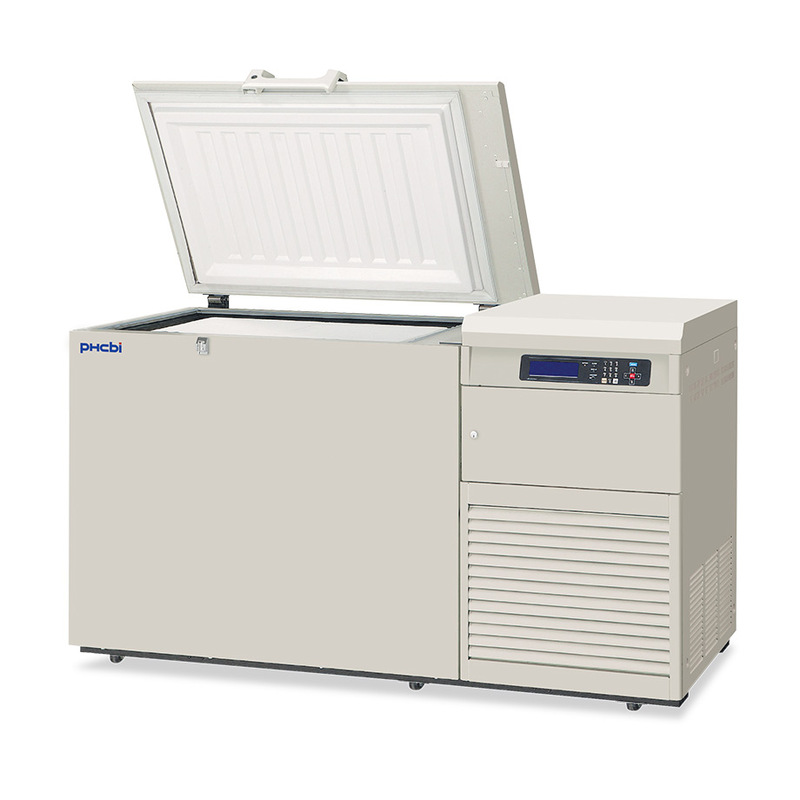 The PHCbi VIP Plus cryogenic refrigeration offers superior performance providing unsurpassed uniformity in the chamber from top-to-bottom, side-to-side, and front-to-back. The VIP Plus cabinet design dramatically reduces wall thickness, allowing for increased cryogenic storage space in a smaller footprint. Store up to 480 2" boxes or 384 3" boxes. 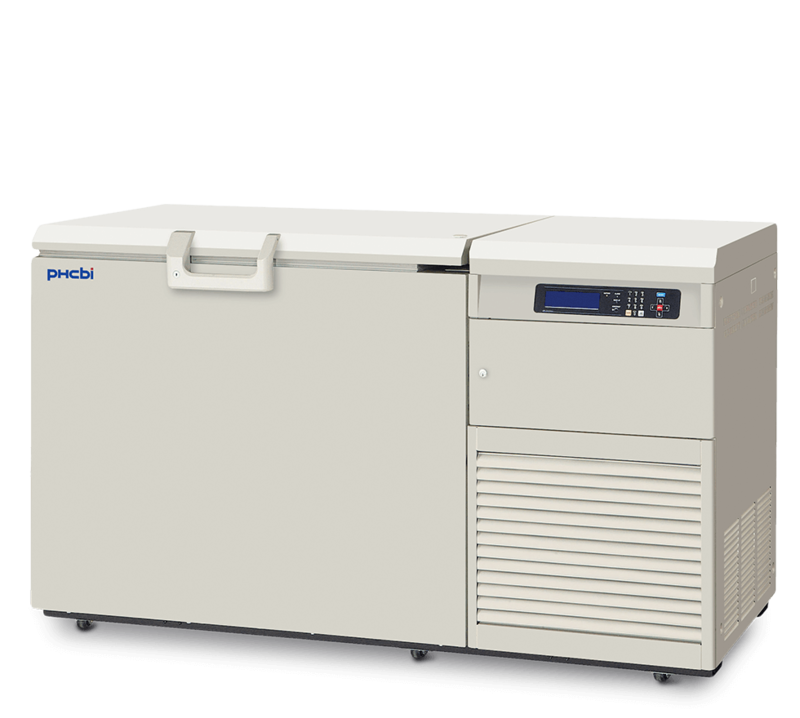 The PHCbi MDF-C2156VANC-PA cryogenic freezer eliminates hazardous operating conditions as well as frequent maintenance and cost requirements of LN2 storage. 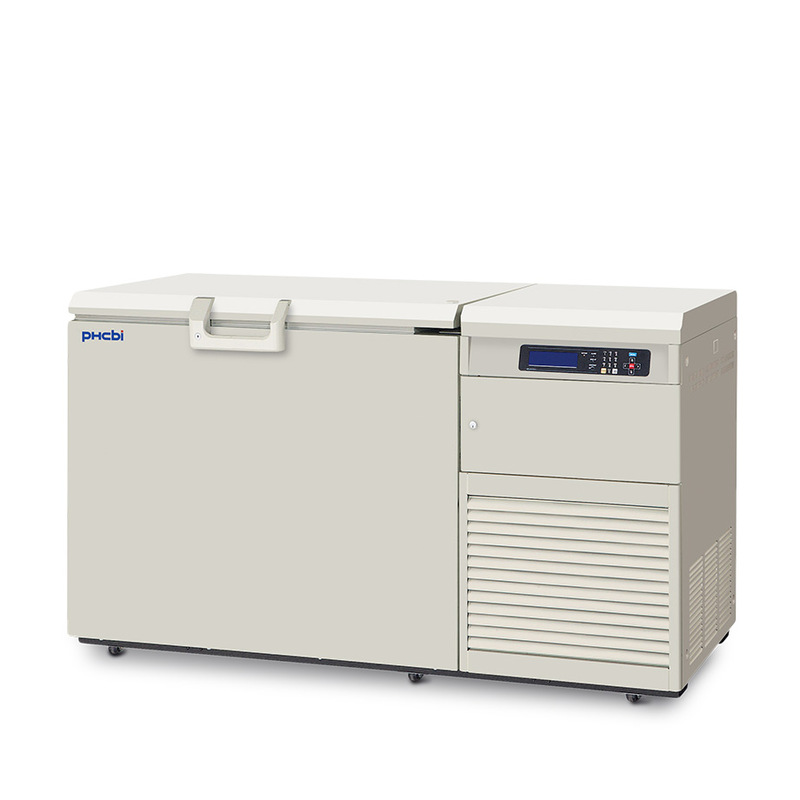 It also minimizes the chance of cross-contamination among multiple samples in cryogenic storage. The integrated microprocessor-based controller and LCD graphic display allow for intuitive management and monitoring of critical set points. The controller uses an extremely precise and long-lasting platinum RTD sensor. The robust -150°C Cryogenic Freezer is powered by PHC designed compressors. 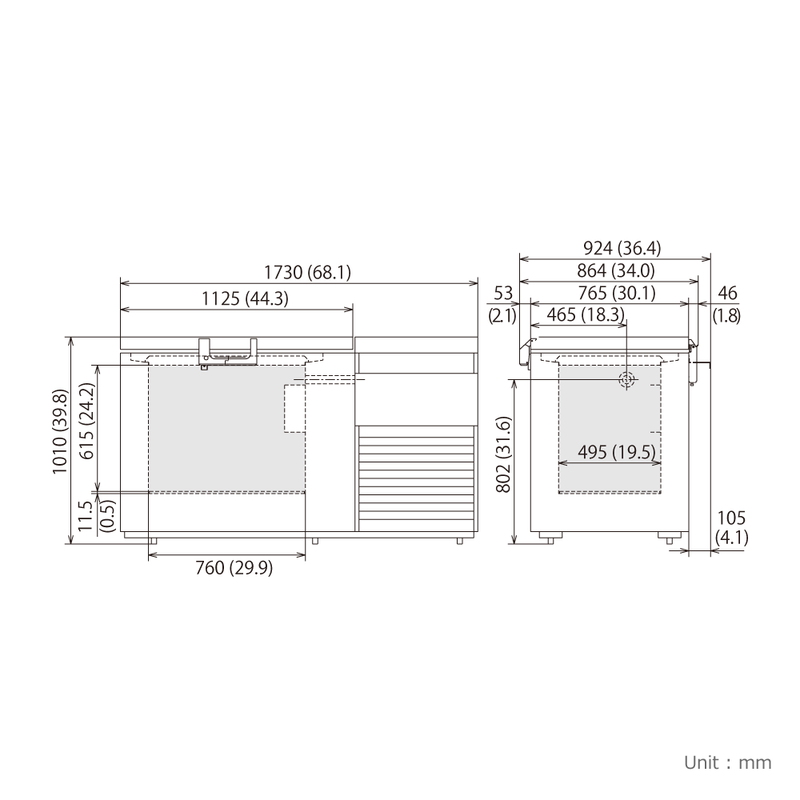 This provides superior performance leading to faster pull-down speed and unsurpassed uniformity throughout the chamber. Energy efficiency in VIP Plus freezers is achieved through balanced temperature performance and power management. The PHCbi VIP PLUS Cryogenic Series -150°C ultra-low temperature freezers offer superior performance. As a cryogenic freezer or cryogenic storage space, these products provide unsurpassed uniformity in the chamber, from top-to-bottom, side-to-side, and front-to-back. The MDF-C2156VANC-PA, -150°C Cryogenic Freezer, cooling performance provides VIP Plus insulation for temperature uniformity for long-term storage, an economical alternative to LN2 storage, and maximum storage within a minimal footprint.